The Best Political Cartoon blogs from thousands of top Political Cartoon blogs in our index using search and social metrics. Data will be refreshed once a week. Amsterdam About Blog The Cartoon Movement was set up and is run by Dutch editorial cartoonist Tjeerd Royaards. The blog of Cartoon Movement, the Internet's #1 publishing platform for high quality political cartoons and comics journalism, relatively new form of journalism that uses a graphic story. The mission of the Cartoon Movement is to bring different perspectives on international news events to a global audience. Facebook fans 20,516. Twitter followers 12,964. About Blog Daryl Cagle's blog represents politics and related issues in a whimsical manner. Facebook fans 21,587. Twitter followers 77,880. Miami, FL About Blog See the latest editorial cartoons from Miami Herald. Our mission is to be the most credible and dynamic source for information for our community. Facebook fans 255,568. Twitter followers 336,597. About Blog See the latest editorial cartoons from The Sacramento Bee. Facebook fans 104,549. Twitter followers 166,259. Washington, D.C. About Blog View the latest editorial cartoons from McClatchy DC & proud to offer news coverage online. Find breaking national, world & political news stories, articles & columns for Washington, DC & the United States. Facebook fans 14,100. Twitter followers 24,301. Facebook fans 680,110. Twitter followers 4,701. About Blog Political Cartoons by A.F. Branco. Branco has become one of the most sought after political cartoonist in journalism. His work has been featured on numerous conservative political websites and Fox News. Facebook fans 19,048. Twitter followers 8,773. Mountain View, CA About Blog Comprehensive up-to-date coverage for political cartoon, aggregated from news sources all over the world by Google News. Facebook fans n/a. Twitter followers 212,884. San Francisco, CA About Blog All news and updates political cartoons from around the globe. Facebook fans 1,087,257. Twitter followers 470,795. About Blog From cartoons to comic culture, Michael Cavna gets his geek on. About Blog Jen Sorensen Cartoonist, Writer, Cultural Panopticon. Her comics and illustrations have appeared in numerous publications including The Progressive, The Nation, Daily Kos, NPR and more. Facebook fans 3,947. Twitter followers n/a. About Blog Ann Telnaes creates editorial cartoons in various mediums- animation, visual essays, live sketches, and traditional print- for the Washington Post. About Blog This is a blog for political cartoons, mostly focusing on American politics. About Blog This blog features Independent Political Cartoons. Sacramento, CA About Blog Humor Times is a political humor monthly, featuring the best editorial cartoonists and humor columnists from around the country, the Humor Times is a light-hearted review of the news. We mercilessly lampoon politicians and other public figures, because they deserve it, and it knocks them off their hyped-up pedestals, bringing them back to earth with the rest of us. Facebook fans 1,630. Twitter followers 1,352. 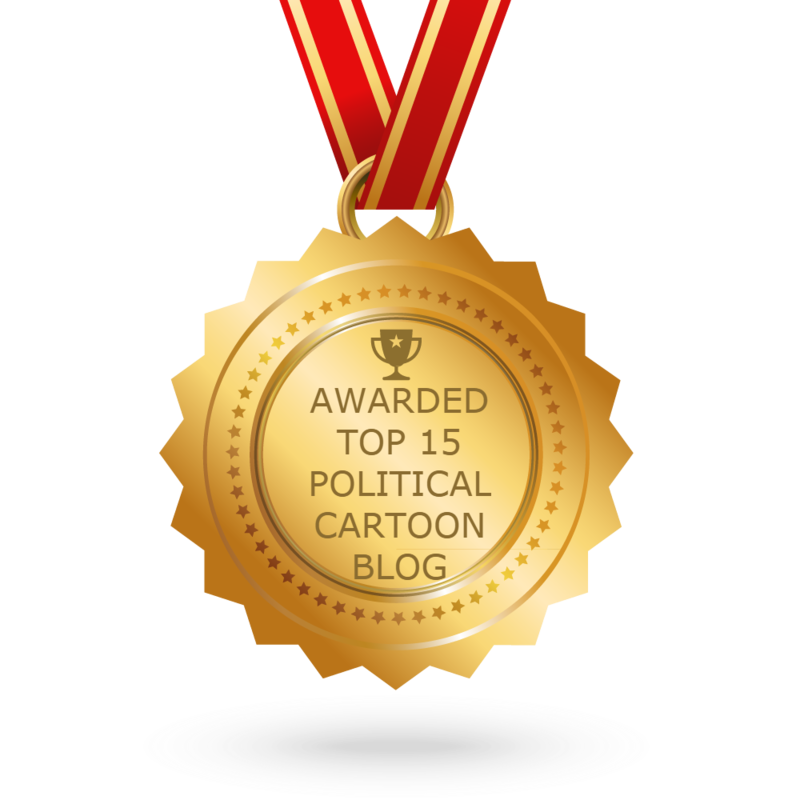 CONGRATULATIONS to every blogger that has made this Top Political Cartoon Blogs list! This is the most comprehensive list of best Political Cartoon blogs on the internet and I’m honoured to have you as part of this! I personally give you a high-five and want to thank you for your contribution to this world.